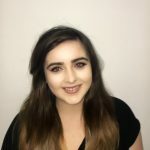 I’m Claire and I am the newest member of the team at Jigsaw Travel. I joined back in July 2016 after spending 14 years at Thomas Cook. The past few months have been an absolute whirlwind I have learned so much and have embraced the fresh challenges and approach to building relationships which is so important to every single member of the team. Coming from a leisure background I completely appreciate how important your free time is and I am always on hand to look after you for queries or concerns before, during and after your trip. I look forward to helping you when planning your future travel arrangements. CLICK HERE FOR A PERSONAL HELLO FROM CLAIRE!